this hour forward is a personal piece that speaks about a pressing social issue. The underlying theme is equality, the specific topic is gay marriage. Through an immersive atmosphere and a minimalist narrative, theater maker Ryan Conarro invites us to experience and dissect what it feels like when public policies intersect with your personal life. After spending some time strolling through the gallery where you can read quotes like “it is better to live your own destiny imperfectly than to live an imitation of somebody else’s life with perfection”, the theatrical event starts with the character telling us the news about his brother’s upcoming wedding, soon after about his own break up with a long term boyfriend. The countdown to the big event starts using -as he used to do in his childhood to count the days before Christmas- a homemade advent calendar: paper rings that are part of a long chain, breaking one a day. Being inside the space is being part of an obsessive train of thought; the piece seems to be saying, “This is where we are stuck as a society, and until we move on I am going to keep showing you the same thing in repetition, because this is all there is for us right now.” Through a game of mirrors, the audience’s gaze is on the solo performer, whose gaze is on a video that shows himself dressed in a wedding gown or counting the days to his brother’s wedding. We are taken to a deconstructed landscape of a social construct, one that has deep implications on self identity and life expectations. Moving in waves from social commentary to personal memories and worries, this piece is an exploration of universal questions, questioning how we build an idea of ourselves, and when and where do we get the components of that idea (family, the media, history)? How can we better navigate what we want from life, our relationships with our loved ones, and the unavoidable external expectations? The journey goes one layer deeper, touching on issues like what being normal really means, and how far someone can remove their self from normalcy before they become truly isolated. Ryan Conarro gives us a performance installation that drives us to think about the fundamental implications of the current political and social moment we are living in, bringing up with it timeless questions that go beyond the urgent and that do not have an easy answer. Ultimately there are questions that each of us need to think long and hard about and come up with an answer that allows us to lead the life we have imagined for ourselves. We leave the space with an advent calendar ring in our hand. It is up to us to break it, mark the beginning of something new. Paulina was born and raised in Mexico City. She studied screenwriting at the Centro de Capacitación Cinematográfica, Mexico’s National Institute of Fine Arts Film School. During 2007-2008 she held a fellowship for Playwriting at the Fundación para las Letras Mexicanas, where she started her carrier in theater. In September 2010 she moved to New York to pursue her MFA degree. 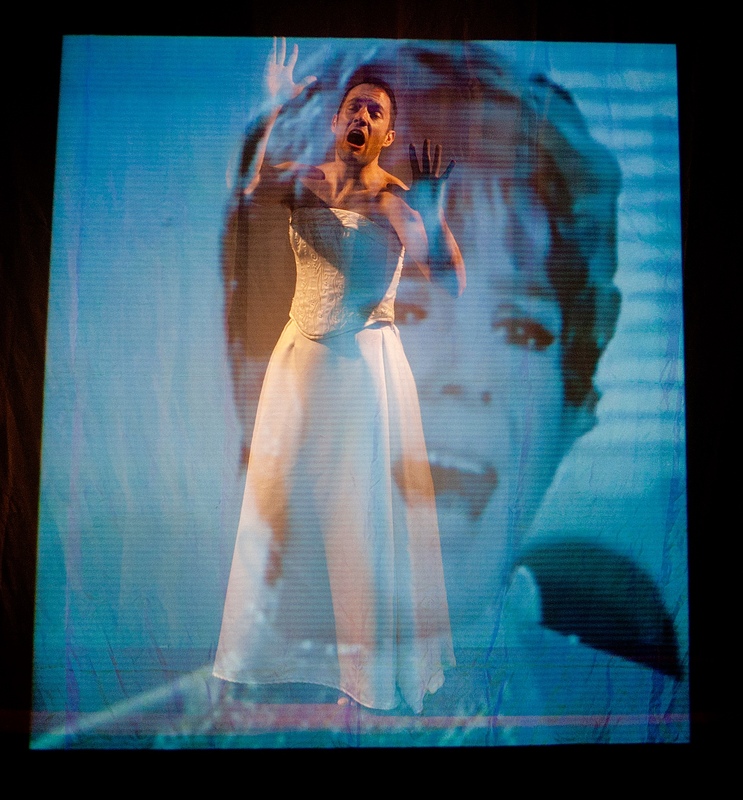 Her plays The Tide, Washing Away and The Comfort of Numbers have had full productions in New York City during 2011-2015. She is a two time Resident Artist at Mabou Mines/Suite.